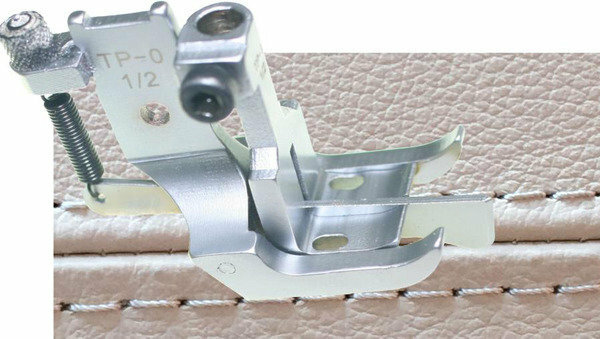 These sets of double needle feet with spring loaded center guide facilitate straight sewing along a center seam with equal distance stitching on both sides of the seam.The adjustable spring loaded center guide is always in contact with the material even when the walking feet go up. The stitching will always be even. sets Outside & Inside Feet for Brother, Consew, Highlead, Juki, Mitsubishi, Seiko, Singer, Tacsew, Artisan, etc.